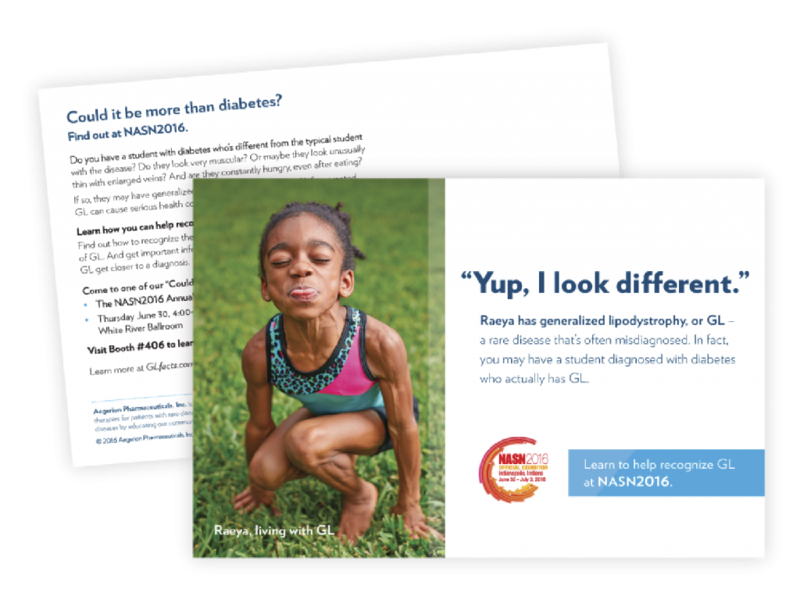 Generalized Lipodystrophy (GL) is a rare disease that leaves one with little to no fat tissue. Lack of fat tissue leads to having little to no leptin, an important hormone that helps control metabolic processes in the body. 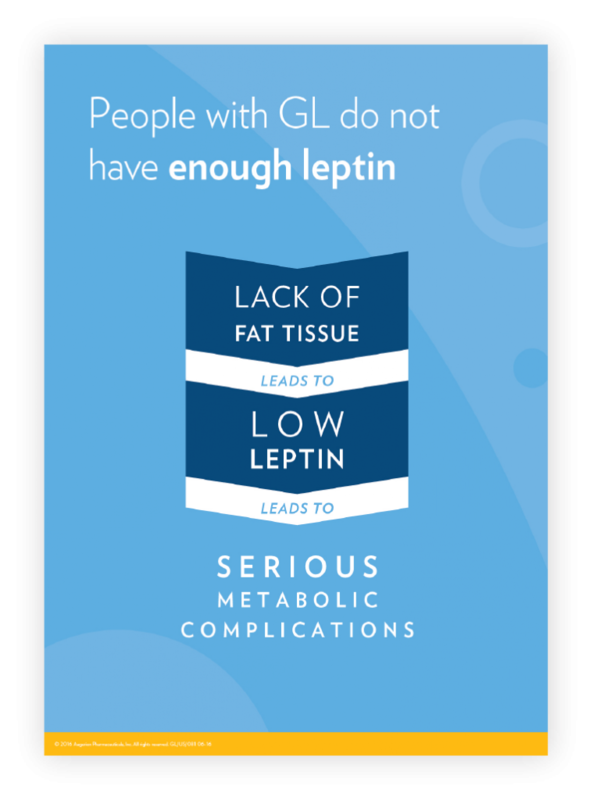 Without enough leptin, people with GL can experience serious health complications and changes to their physical appearances. The road to diagnosis is often long and complicated. Myalept, made by Aegerion Pharmaceuticals, is a leptin replacement prescription medicine, used with a doctor-recommended diet, for people with GL. Our task was to develop key digital assets and communication tools that educate patients and healthcare providers about GL and Myalept. 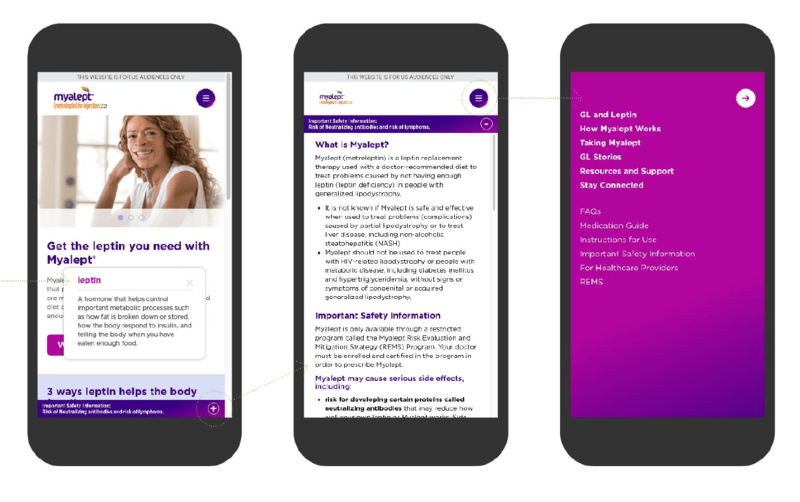 In collaboration with the marketing team at Aegerion, we harnessed the emotional impact of patient stories with targeted information about GL and Myalept in both branded and unbranded communications. 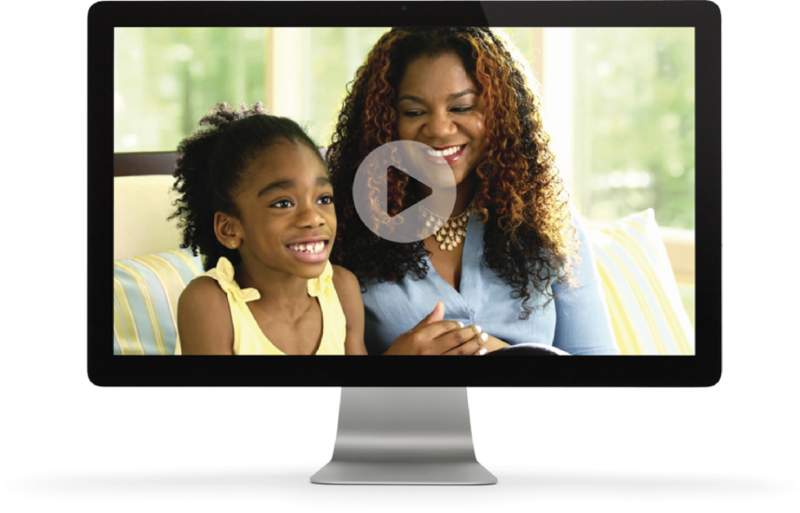 The results produced a suite of digital assets created to empower, engage, and educate patients and healthcare providers. We didn’t understand that when Troy was losing body fat and was always hungry, it was because his body didn’t have enough leptin. 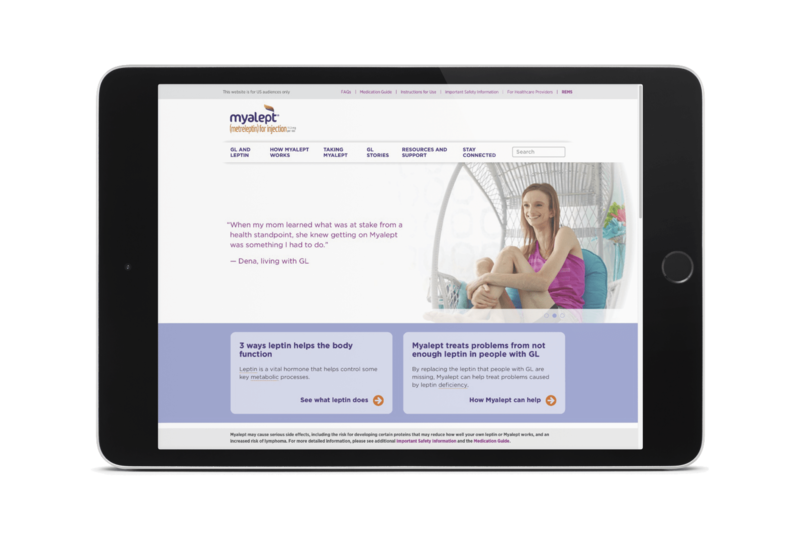 The Myalept patient website targets prospective and existing GL patients, providing valuable information about GL and Myalept. 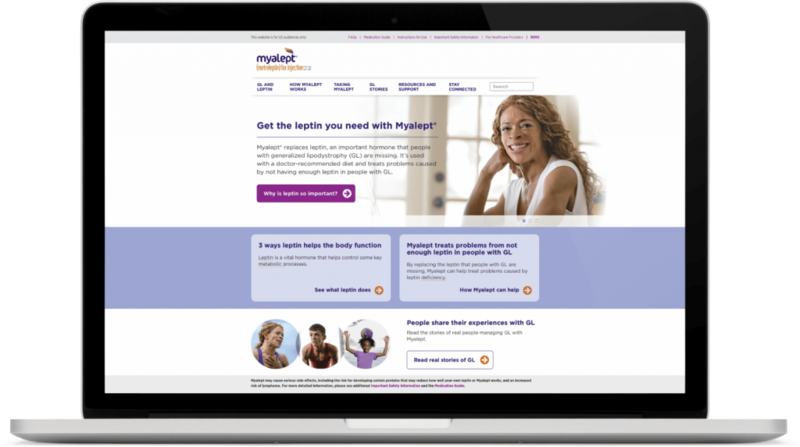 Real patient testimonials focus on the diagnostic journey and treatment outcomes, and users are directed to Myalept’s patient support services and invited to connect with a patient education manager. The art of storytelling. The power of the patient voice. Capturing authentic experiences that trigger emotion and connect people. 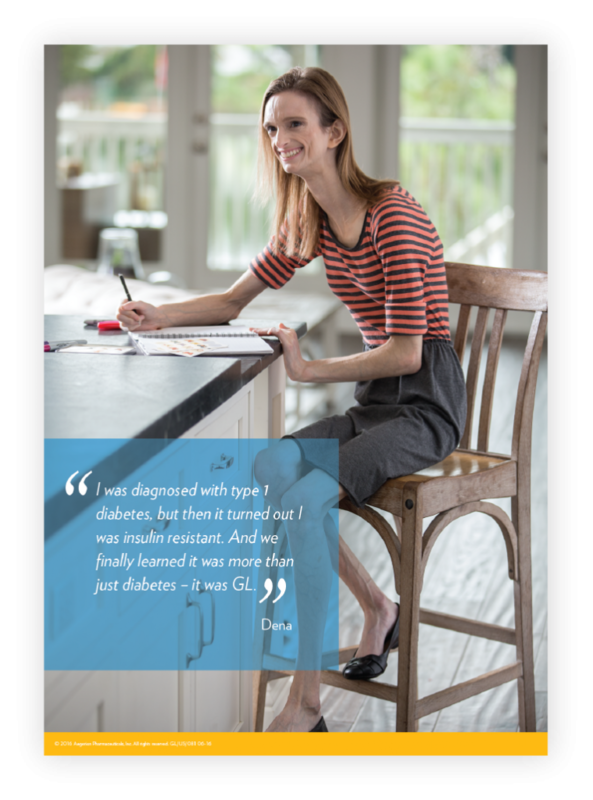 We created a series of GL patient profiles to help sales reps introduce healthcare providers to the signs, symptoms, and characteristics of GL while offering ways to learn more about the disease. Photography featured people living with GL and is used as a visual tool to communicate the physicality of the disease. 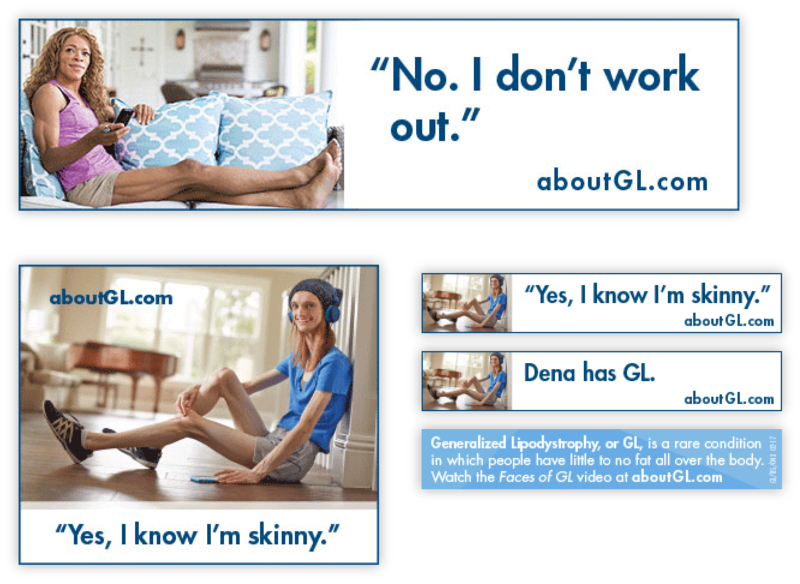 Targeted advertising featuring GL patients and provocative headlines was created for HCPs to challenge their assumptions, trigger interest, and encourage them to attend events while offering ways to learn more about Generalized Lipodystrophy (GL). With targeted advertising driving HCPs to educational events about GL, we created a flexible system of tabletop graphics designed to engage audiences and provoke discussion. Need help connecting to rare disease audiences?